FRANCE (by Tiphaine Guetre) Following half a day of training for the horses that would be presented during the NASH sales, the Grand Hall of the Pole Hippique in Saint Lô was resplendent in Selle Français colours for the start of the males championship which ran from October 21-25. 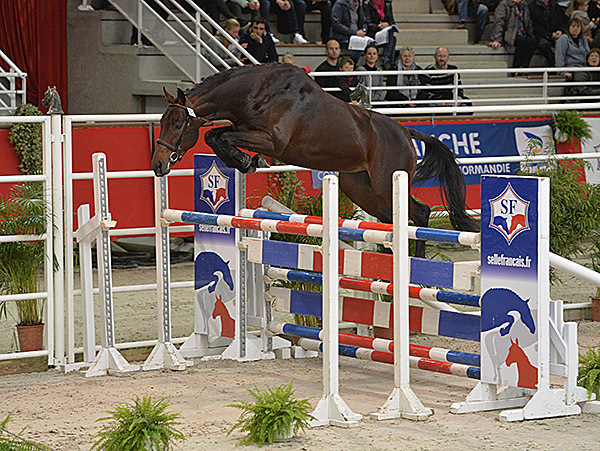 In fact, to lighten the load for the Selle Français colts, the two-year-olds opened the show one day earlier than previous years. This new program was aimed at improving the compatibility with the NASH Sales, revealing a common goal of solidarity and interaction between the co-organizers. It also gave the free gaits test its own time slot the following day. This test was previously marked at the same time as the free jumping.